Here are the things I don’t need to buy soon. I don’t need to buy hand soap for a while because I have so many. 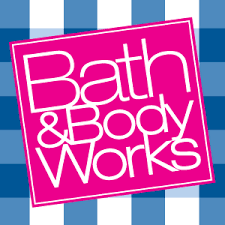 Bath and Body Works items are my favorites so I always buy them when I have coupons or there is a sale. Recently I got 6 of these hand soaps at a cost of $4 each, which is great when you consider how pricey they normally are. My stockpile is large enough now that I need to add them to the list of things I don’t need to buy. You only see 6 here since that is the last shipment but I know I have more of them in a box somewhere. I have not tracked how long one bottle lasts but I know that it is at least one month. I do wash my hands frequently but I think that one bottle in the bathroom lasts about two months or so if I just use it from start to finish. Normally start a bottle in the bathroom since that is where I do most of my hand washing. When that bottle is almost empty I will transition it to the kitchen. I will now open two new bottles and place one in the kitchen and one in the bathroom and just use them up until they are done. Then, I will track the start date (today, 2 September 2016) and then note when I finish each bottle. This way I can get a more accurate reading of how long each one lasts. At the very least if each bottle lasts only one month then I do not need to buy hand soap before December. December is generally when the next big sale will happen.